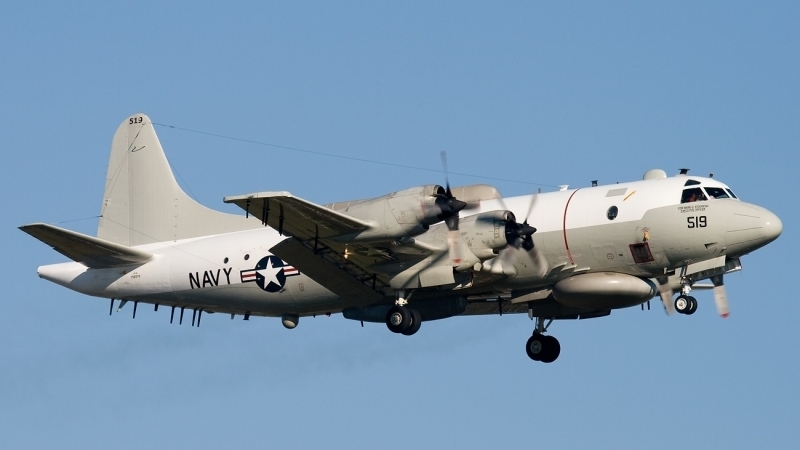 On 29th of January, plane of long-range radioelectric intelligence which belongs to the US Navy Forces EP-3E Aries II had a long intelligence flight over the Black Sea, in particular, close to Crimea, according to the monitory data of Western aviation sources. The plane with tail number 157326 and call sign FARMR26, which was flying from airbase Suda-bay located on one of the islands in Greece, several hours was having a raid along the South West cost of the occupied Crimea over international waters of the Black See. Sometimes, the plane was in the distance of 40 km to the occupied Sevastopol. One of the flights of this plane was recorded last Saturday near to the Crimean cost. Reportedly, on 16th of January a strategic drone of the US Navy Forces RQ-4A Global Hawk had an intelligence raid near to the Russian cost over the Black Sea. The Drone in a couple of hours was having a raid on the line along Krasnodar region – from Kerch strait to Sochi, also South and South West Cost near the occupied Crimea, as well as close to Sevastopol. The flight was on the high of 16 thousand meters. Russian Media states that with a capacity to conduct an intelligence raid up to 300 km a heavy drone RQ-4A Global Hawk could in fact observe the whole territory of Crimea. This is the third flight of American drone near to Crimea and Russian cost over the Black Sea from the beginning of this year. Totally, this year since the 1st of January American intelligence planes and drones have already had 7 such flights. In particular, on 15th of January a patrol anti-submarine plane P-8A Poseidon of the US Navy Forces had an intelligence raid along the whole South cost of Crimea, is was circling to the west from Sevastopol, time after time approaching the city by approximately 40 km to its western part.